I often tell visitors to Chicago, go up to the 96th floor of the Hancock on Michigan Avenue or take in a summer night on the rooftop of the London Hotel. It is the BEST VIEWS, but you have pay $17 for a cocktail. Nothing is free. But you get a cocktail AND a view. You don’t get that at the Willis Tower Skydeck or the Observatory of the Hancock. I moved here from the Detroit suburbs. So Chicago was not “sticker shock”. Sure you pay a little more, but look at ALL THAT GET! Nothing is free. If you decide you can’t get by without a car you’ll have to pay for one of Chicago’s City Vehicle Stickers. This annual expense ensures your compliance with the city’s Wheel Tax. For a regular-sized passenger car the sticker will cost you $85.97. GAS PRICES might make you faint! 30% above the national average! Thanks to ALL OF THE TAXES! What about taxes? Groceries in Chicago are subject to a 2.25% sales tax on food. That’s rare in the US. Then there’s the restaurant tax to worry about. And sales tax in Cook County is 10.25%. Chicago isn’t lacking in entertainment options. This does not make the city more expensive. Maybe it’s your lifestyle. You can live in Indiana cheap and have NOTHING to do. OR live in Chicago. Curbed Comparisons, is a great regular column exploring what you can rent for a set dollar amount in different neighborhoods. Is one person’s studio another person’s townhouse? Let’s find out. Today we are looking at apartments at or under $1,350 per month on Chicago’s northwest side. Right now – you can get a three-bedroom in a vintage Humboldt Park building for about $1,300. $1,300 per month can also rent a two-bedroom apartment in Avondale. Located near the Kennedy Expressway and popular spots like Kuma’s Corner, this one is both transit and amenity rich. If you’re a fan of the Lincoln Square area, you can rent a two-bedroom for $1,325. While it’s a garden unit, it appears to be quite spacious and has plenty of windows. A two-bedroom apartment in Pilsen is renting for $1,350. It’s a fairly open floor plan with some newer finishes. There’s even views of the skyline from this one. Up in Avondale, you’ll find that a two-bedroom apartment in a brick three-flat is also seeking the same $1,350 rent. It’s all about location. If you want to be near the lake, like Lincoln Park or Lakeview, expect to get a LOT LESS space. Let me help you with your search! I have access to thousands of listings every month. You tell me your needs and your wants and the computer gives me list of possibilities. 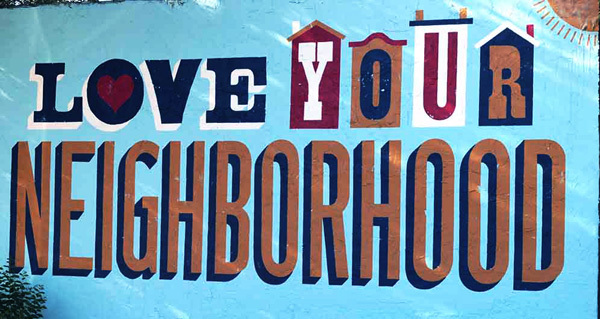 Using my knowledge of the city and its neighborhoods, I can provide you with honest unbiased feedback. YOU are my client. Not the apartment owners. Spaces has been in business since 2010. We pride ourselves on GREAT CUSTOMER SERVICE and strive for excellence! And we have an amazing support team there to help with the application process and submitting it to the landlord. We have awesome follow up as well and will keep you updated through the process. When you are ready to move, call me! 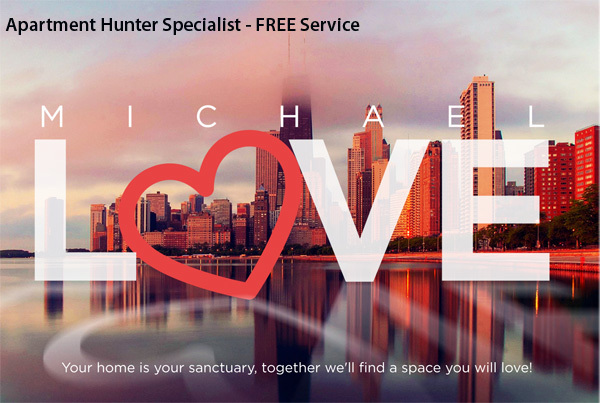 I will help you find a perfect space to love! You have no doubt seen the ads all over the city, ONE CHICAGO. One Chicago was founded on a set of values that believes no matter who you are or where you came from, Chicago will always be a welcoming city. And that all Chicago residents, regardless of immigration status, should have access to City services. Redfin rates Chicago #3 Best City for Halloween! Chicagoans love when autumn rolls in over Lake Michigan and relieves the city of the summer heat, and it celebrates by throwing a weeks-long Halloween celebration with all kinds of events. Chicagoween at Franken Plaza — known as Daley Plaza the rest of the year — hosts movie nights, live performances and costume contests, and parks across the city are home to pumpkin patches and haunted houses. Land lovers should check out the Northalsted Halloween Parade, and those who aren’t afraid of a haunted sea voyage will love one of Navy Pier’s haunted cruise options. Extra Spooky: Few cities on our list have as many haunted locations as Chicago, so if you’re looking for the thrill of a lifetime with a good, old-fashioned ghost hunt, head over to Chi-Town. Explore the Oriental Theatre, where more than 600 victims were engulfed in flames in 1903; stay a night in the Drake Hotel, where the heartbroken spirit of a young woman wanders the halls; or work with the paranormal investigators of Chicago Ghost Investigations to communicate with the other side in a warehouse once occupied by Al Capone. The Saturday night before Halloween is when all the big parties happen all over Chicagoland. Expect it to take longer to get an Uber, Lyft or Taxi! PLAN AHEAD! The Northalsted Halloween Parade is ranked one of the 10 Best Halloweens in the US by Fodor’s Travel Guide. The Annual event is free for spectators and participants. Enter the costume contest to win great prizes! A one-of-a-kind event in Chicago, this parade features one of the most iconic costumed populations of all – drag queens! (All in Halloween attire, of course). Once mainly an LGBT celebration, now joining them along the parade route are thousands of adults, as well as kids and pets, also in costume, and tons of spectators. If you want to join the parade itself, be sure to register. Otherwise, spectating is free! Getting In: Admission to the Northalsted Halloween Parade is free. No longer residing in the top 10 markets, Chicago ranked as the 11th most expensive city to rent in the nation. Since last month, the price of one bedroom units grew 4.8% to a median of $1,760, while two bedrooms jumped 5.1% to $2,260. (The map shows average 1 bedroom pricing). Bridgeport and Beverly had some of the fastest growing rents since last quarter, both up over 12%. While Greektown ($2,200) and River North ($2,050) continued to reign as the most expensive neighborhoods to rent this summer, Loop, West Loop, and Near South Side were other notably pricy areas, just under the $2,000 threshold. Mid-range priced rentals, for under $1,500, could be found in Boystown, Lakeview, and North Center. On the other end of the cost spectrum, the most affordable areas were Fuller Park, West Pullman, East Side, and Clearing. If you want to see how the price of apartments for rent in Chicago compares with the rest of the United States’, view our National Rent Report for June, which analyzes over 1 million active listings available in the prior month. To keep up to date with rent changes across the country, like or follow Zumper on Facebook, Twitter, Pinterest, and Instagram. In the market for a new place? Search all apartments for rent in Chicago on Zumper now. Yes, the crown molding and new shower seem amazing now, but in three months when you’re pinching pennies to pay rent those amenities might not look so hot. Make a budget and stick to it. You might not get the perfect place, but you won’t get the one that will send you to the poor house, either. At Spaces, all of the landlords we work with require you must show the equivalent of 3 months rent in income. So if you are looking at an apartment for $1500, you must be able to show income for $4500 a month. Visit the neighborhood on nights and weekends before signing anything. What is quiet with ample parking during the day may be loud and crowded at night. Do yourself a favor and scope out your potential hood before you find out that there’s a club next door that hosts all-ages noisecore shows. Unless, of course, you’re really into noisecore. Also check out the neighborhood on Walk Score. This will also tell you about crime. Consider their pet policy. Even if you don’t plan on having pets it’s nice to know what the policy is exactly. You know, just in case your neighbor across the way leaves his door open and his pet tiger escapes. Consider the commute. Is cheaper and farther more appealing than expensive and close? You be the judge. Go over exactly what utilities are covered. Having utilities included is awesome and another headache you don’t have to deal with, but be crystal clear on what you are getting and what you aren’t. Water, gas, and power? Internet? 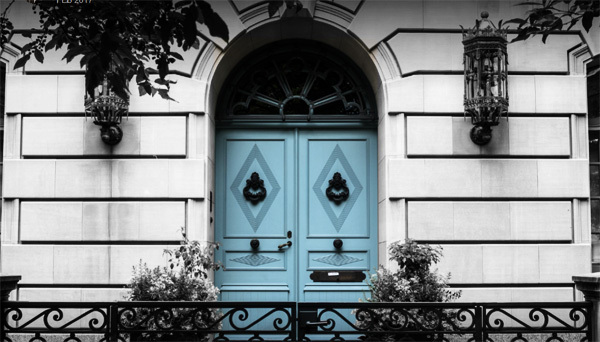 These can be defining factors when choosing an apartment, so do your due diligence. Also, just because it says, “AC included” it does not mean the power is paid for. It just means you don’t have to provide your own. Check all the faucets and flush all the toilets. This is something a lot of people never think to do, but trust me and do it. If there is any issue you can bring it up now and hopefully it can be addressed by the landlord. I mean, there is nothing worst than turning on the tap for the first time and being surprised by barely-dripping brown water while the toilet floods. Chicago is somewhat of a Midwest melting pot. And the jewel of the Midwest! A lot of people born in small Midwest towns seem to gravitate to the big city. Michigan, Ohio, Wisconsin, Iowa….boys and girls looking to escape their small town blues, head to Chicago! Especially in the Spring. May 1st is the busiest moving week of the year here in Chicago! The Chicago tradition of moving on the first day of May can be traced back to English and Dutch practices that were passed on by immigrants. In 1911 rules were enacted to allow leases to be made at any time of the year – however, May continues to be the most popular month to move. With an average temperature of 69 degrees, it makes sense that Chicagoans would want to move in May, before the heat of summer sets in. However, if you are looking for a lower price, the renter’s market is Fall/Winter 11/1-2/28, but there is less supply. Peek lessor’s time is 4/1-9/30, with July 1 occupancy being the busiest time. Any other time you can get a decent price with more of a supply of unit to examine.